Making delicious and healthy meals that are easy for on the go families are a challenge at best. Lawry's (a staple product in our household) recently asked a few of us to get together and come up with new, healthy recipes for on the go using their products. For me it was easy because I absolutely love (and have since I was a kid) many of the Lawry's products. Working moms frequently have the challenge of eating healthy is difficult, but one of my favorite tricks was to make a salad the night before so I have something healthy for lunch the next day. Coming up with those easy and delicious salads takes some planning but pays off. RockinMama and I created a fantastic super healthy salad that would work as a main course one night and can be put in a container for lunch the next day. 2 lbs. of boneless chicken breast. 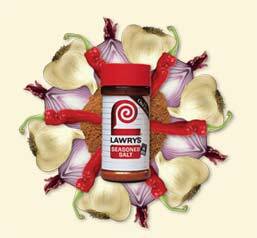 1 cup of Lawry’s Ginger Sesame Marinade. In a resealable plastic bag, marinated chicken in Lawry’s Ginger Sesame Marinade in the refrigerator for 30 mins (if you have time, I highly recommend letting it marinate over night for even more flavor). Then cook on grill (or on a countertop grill if you are in a hurry). Once cooked, slice chicken into cubes and add to fresh greens. Top with mandarin orange slices, whole baby tomatoes, shredded carrots, slivered almonds and top with your favorite Sesame Ginger Salad Dressing. DayTrippingMom and ThoughtsofaMommy came up with this fantastic twist on Mexican Potato salad. Peel and chop (into small sized cubes) potatoes and boil in water for about 15 mins. I added a teaspoon of Lawry’s Seasoned salt to add a tiny bit of flavor. Once boiled, drain and place potatoes to cool in the fridge for at least 1 hour. In a mixing bowl, combine cooled potatoes, mayo, eggs, cilantro, chorizo, onions and mix till all ingredients are well mixed. Add Lawry’s Seasoned Salt to taste. LosAngelesStory and MommyofaMonster came up with sliders. Below is LosAngelesStory's recipe using the Lawry's Terriyaki Marinade. 1. Mix ground beef, 1/4 cup of the marinade and red bell pepper in medium bowl until well blended. Shape into 10 rounded slider patties. 2. Broil or grill over medium heat 4 to 6 minutes per side or until sliders are cooked through (internal temperature reaches 160°F). Meanwhile, broil or grill pineapple slices 1 to 2 minutes per side or until golden brown. 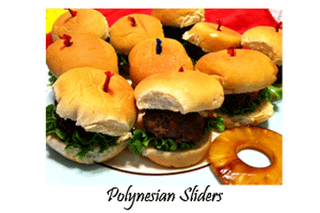 Brush sliders and pineapple slices with remaining 1/4 cup marinade while cooking. 3. Serve sliders on toasted rolls with pineapple slices and lettuce leaves. My posting has been haphazard lately, but it's been for a very good reason. We moved and I've been crazy busy unpacking and working to get life ready for the move, then have been working to get settled in the last week and a half. The last couple of weeks have been a crazy roller coaster and my biggest challenges have been keeping things as low impact on my kids as possible. I've watched my boys mature and show incredible poise through the last few weeks. I couldn't be more proud of my boys - they have been such huge helpers during the move. I've spent a lot of time driving back and forth between the new house and old place with loads of miscellaneous things that I didn't have the movers move (thank goodness it isn't too far!). Brett my oldest has taken great pride in being my co-pilot and has decided that he loves responding to text messages for me so I could focus on driving. We figured this out late one night when he was texting my husband to let him know we were almost home. He's patented the Pac-Man happy face/emoticon and it's become his signature so my husband knows he's the one doing the texting. (:V) You may have to turn your head to see it, but it's there. So... 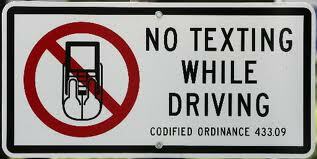 I can be proud and honest to say I'm not texting and driving - I have my assistant text for me and he rocks at it! I'm so thrilled the last few weeks are over and am dreading the rest of the unpacking and settling in I have to do over the next few weeks (also look for me to be converting my posting over to PlanetMoms.net) in the very near future once I have time to finish setting it up. I promise to get back to regular posting once things calm down a bit around here! Just under three years ago, I sat there watching the television as President Obama was inaugurated. Through my tears I tried to explain to my young boys why I was crying, but they just didn't understand. How could they? They world they are growing up in is so different from the world sixty years ago. Was I a huge fan of President Obama? No. But in all honesty I wasn't a fan of any of the candidates that year. I was crying tears of pride, because of the tangible proof of how much we as a country had evolved from so many of the tragic incidents and indignities of the past. American Society has evolved and grown. As a child of the '70's it is easy to forget how much has changed in society and how much we truly have to be thankful for. I think it is so important for all of us to look back and learn about the history of our country so we don't take for granted the freedoms we really do have now. I recently had the chance to see an advance screening of The Help (out in theaters in two days August 10th!). What a powerful movie (and that is such a huge understatement). I don't believe there was a dry eye in the entire theater. I was warned that it was emotional, but I wasn't prepared for how much I would be touched by the movie. Until that night, I had forgotten all the stories my mother had told me about her youth and their "help". My mother lived a very privileged youth and grew up with lots of "help". She learned to cook, clean and love from the "help". To say they were loved, respected and cherished by her would be an understatement. If you haven't made plans to go see The Help, I can't speak highly enough of how important this movie is to see. Grab your daughter (teenager) or girlfriends and make a night of it - I promise it will be a powerful night full of thought provoking conversations after. Already know you're going to love the movie? I have a giveaway for The Help movie items! Giveaway will end Monday August 22nd, 2011 at 12 midnight pacific time. A winner will be drawn using random.org and I reserve the right to draw another winner if I am not able to get mailing address information in a timely manner. Giveaway is only open to residents of the contiguous US and Canada. Mandatory First Entry... comment and share one thing you appreciate has changed in society today that your children will never experience (this can be related to the subject of racism or not). Additional entries will be accepted for becoming a Facebook fan of OCMomActivities, following on Twitter, posting about this giveaway on your Facebook page. 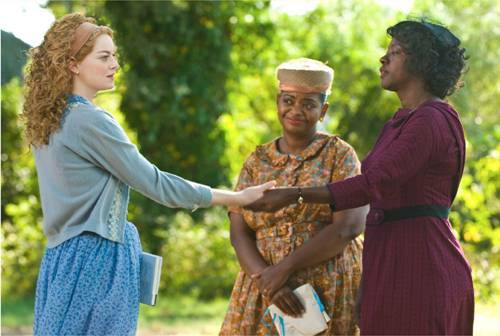 You can also get an additional entry by becoming a fan of the Help Movie on Facebook. Please be sure you leave me a way to reach you!